Breathe deeply, parents. Then get the kids outside. Alaska families, how are you doing? You’ve been shaken and stirred in a most frightening way, and now are facing an understandable but also unexpected week of school vacation. Returning to what we knew as normal is going to take time, with moms and dads throughout Southcentral needing a toolbox of information to help their children navigate post-earthquake life. And part of that recovery process, experts say, should include time outside. I still struggle to maintain a solid night of sleep in between perceived or real aftershocks, and my days are full of efforts to untangle my house and garage after one eternal minute of terrifying convulsions from the planet. Thus, my entire family - but especially my son - could use a little eco-nature-running wild time, tremors be damned. A teenager, he’s processed the quake by wanting to look up internet site after internet site of facts — how many aftershocks, how big and all the accompanying video. As a result, his brain and body have been taken for an emotional ride rivaling a roller coaster. He’s jumpy, on edge and worried. I recently called a timeout and trucked him outside for a hike. It’s all about restoring balance (figuratively and literally) and recovering the relationship with our natural environment. For all children, regardless of age, whose daily lives were thrown into physical and emotional turmoil the second the ground started shaking, a chance to get outside allows several things to happen. Bodies wound up from physical stress can begin to unwind in a productive way, and some valuable learning can also occur as we use observation and deduction to see the result of Earth’s intrinsic power. Lia Keller, founder of the Alaska Forest School and a mom of two elementary-aged boys, says time spent in nature can be a valuable teachable moment for kids who need to visualize some validation for their feelings about recent events. “We will be getting outside each day - (my kids) can be kids and not think about aftershocks, escape plans or preparedness,” she told me via Facebook. What options do parents have as they strive for a few moments of peace? Here’s how a collection of Anchorage moms and dads responded to my query for suggestions. 2. Try some nature crafting. Between the earthquake and a windstorm that followed, nature’s floor is littered with all kinds of interesting things. Grab a bag and start collecting leaves,sticks, grasses, even bits of litter (wear gloves and watch for sharp edges) and make a 2018 Earthquake collage. Glue the treasures to a piece of cardboard or plywood for a nature-themed reminder of a historic event. 3. Take a hike. Ethan Tyler, director of Alaska State Parks, says that while parks staff are still assessing trails and sites, the Anchorage Bowl trails within Chugach State Park are open for exploration. Be mindful of changes at any time, Tyler said, and check the state park Facebook page and website for regular updates. 4. Cut down your Christmas tree. With the Seward Highway open again, this week might be a good one to venture out into the Chugach National Forest and find the perfect tree. There are rules, though, so be sure to visit the Chugach National Forest website. 5. Get out of Dodge. I have a friend who, upon hearing of the weeklong closure of school, immediately booked airline tickets to Florida for her and her two children. If you can’t do that, consider a midweek getaway to one of Alaska’s public-use cabins. Always full on weekends, this unexpected midweek break is a great way to find some quiet family time. 6. The Alaska Wildlife Conservation Center in Portage is open again after a short closure on Friday. With all that shaking, animals are more active than usual. The facility’s holiday event is Saturday, by the way. 7. Explore Anchorage parks. 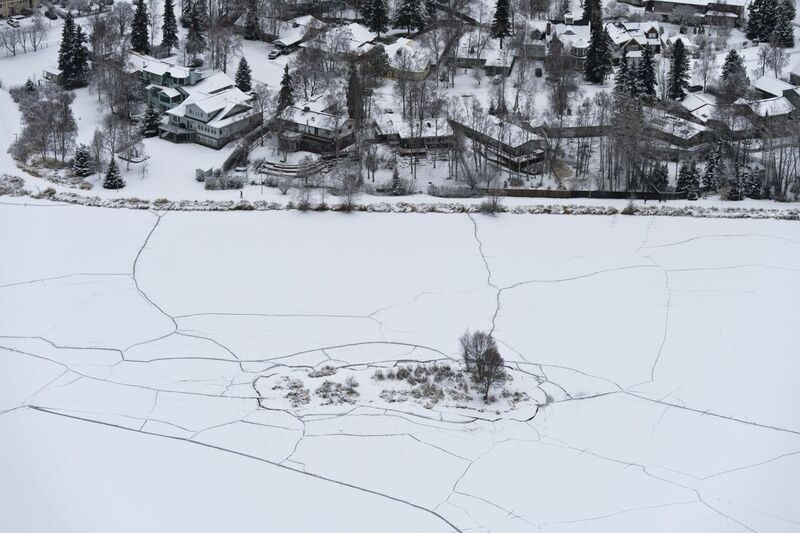 Josh Durand, Anchorage Parks and Recreation superintendent, says parks are open, although he said park personnel have not yet been able to start ice maintenance on lakes, with or without the current sets of cracks evident on almost all of them. “We have ‘thin ice’ signs up,” he said. That said, those cracks nearer to the shoreline are a great way to illustrate how an earthquake works, and kids may be interested in peering down said cracks with a flashlight, just to see what they can see. 8. Light up the night. The Alaska Botanical Garden has decorated several sections of its 110-acre property off Campbell Airstrip Road, and it’s the perfect place for some evening serenity. Different than the whimsical but equally fun Alaska Zoo Lights, the Botanical Garden Holiday Lights (Thursday-Sunday through Dec. 29th, plus New Year’s Eve) are a quieter, calmer way to take an illuminated stroll through the Alaska forest. Finally, let kids guide activity selection. Offering choices gives them some control after a violent event that was completely out of their hands. Offer some options, ask questions and above all, be present in any activity you choose to do together. You’ve taken enough photos and posted enough video. Now is the time to huddle close and remember what matters most.